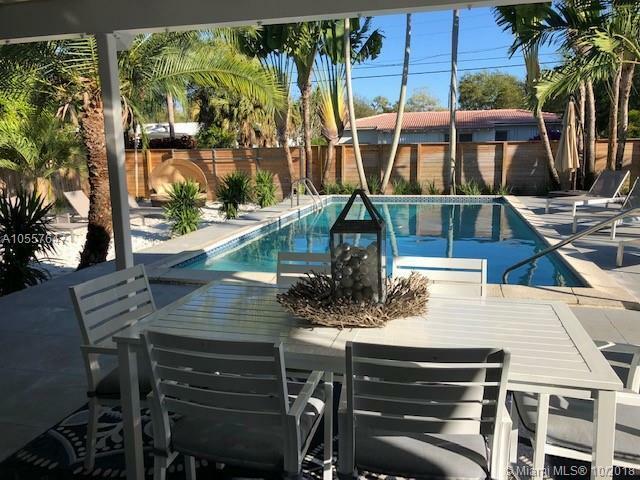 Located on a charming tree lined cul-de-sac in Miami Shores, this charming 3/2 ranch is on a large 9,300 sf lot with a tropical pool and lush landscaping. Features include a circular driveway, 1 car garage, rich oak wood floors, new SS appliances, lots of windows and natural lighting and custom lighting. The large back yard features a large patio and huge pool. Easy to show. Bring your fussiest buyer. Please do not disturb the tenant.